Fifth in a series about opinions held by the “swing voters” of bicycling. When it comes to public messages about bikes, safety shouldn’t always come first. On Tuesday, we showed the latest evidence that a perceived lack of safety on the road is a powerful factor preventing Portlanders and San Franciscans from riding bikes. Today, we’re wrapping up our review of the data by exploring what seems like a paradox: Even though three-quarters of respondents feel unsafe on the road, the word “safety” seems to be a poor tool for changing their minds. 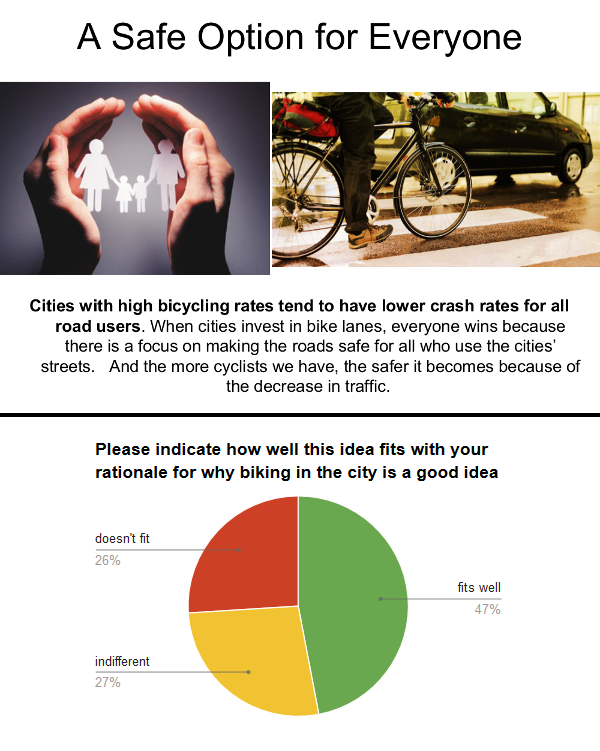 Before finishing the web survey, our sample of people who own bikes but don’t ride regularly was asked to evaluate a series of possible that communicated the reasons for biking. An even odder finding: 20 percent of respondents said they had negative feelings about the word “safe” as it relates to bicycling on city streets. 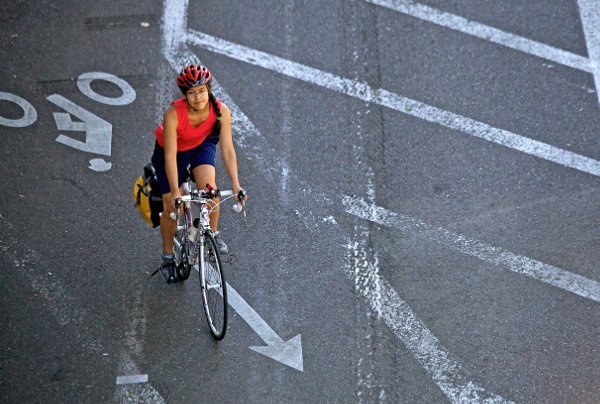 Lynette Xanders, the market researcher, said her focus groups offered a clue: many people, including those who ride occasionally, simply don’t accept the idea that bike facilities can improve safety. Instead, they focus on education and interaction quality. For street designers and bike advocates, this creates a dilemma: in legislatures and city halls, no argument for bike facilities delivers more results than safety. But Miller said he’s persuaded that talking about safety isn’t very good at getting people on bikes, and it might even be ineffective at getting them to politically support bike infrastructure.